← Get your paws on Unleash. Prewashing helps to avoid unexpected color bleeding, or shrinkage. We would highly recommend prewashing your fabrics if they are very deep or vibrant in color. You wouldn’t want those dyes to transfer on to the surrounding fabric. Another issue is shrinkage. Different fabrics will shrink differently. This is an issue when using many different types of fabrics in one quilt. 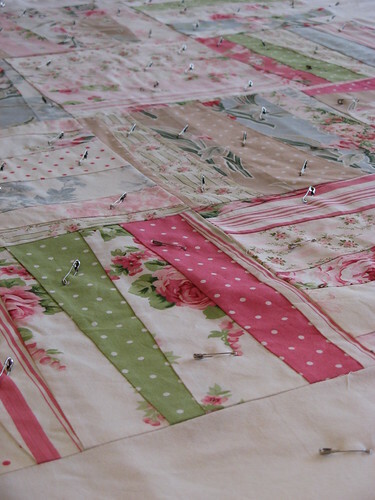 Your finished quilt may pucker around the seams if the fabrics are not prewashed. Some quilters prefer this look and opt not to prewash for this very reason. We’ll admit that we are not always diligent with our prewashing, however when we do choose to prewash, you can bet that we reach for Soak. Wash like colors together either in a washing machine or soak in a basin. This is one of the many beautiful quilts that Jacqueline has laboured over.